As recently as 50 Years ago North Des Moines was a prosperous suburb with the newest shopping centers and the best high-end restaurants in the area. Since then, it has been annexed by Des Moines, the suburban growth has moved to the west side of town, and the area north of University is about as rough as it gets. Although Sixth Avenue, and the River Bend area have been notorious locally for crime, new visitors will not think its rough by the standards of larger towns. Many local establishments persist here thanks to authentic food, dedicated patrons, and fierce neighborhood loyalty. 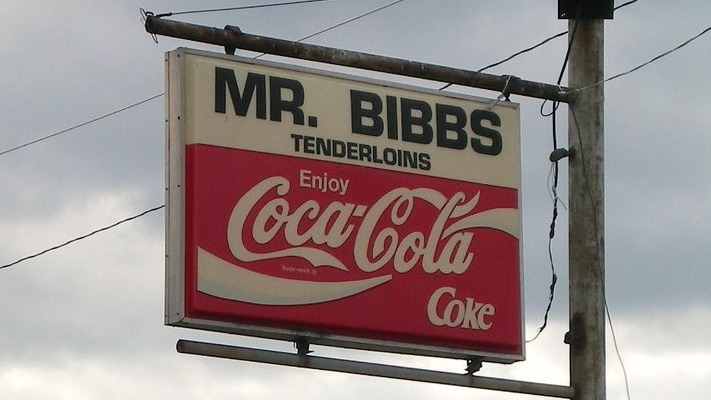 Bibbs 6th Ave. is a joint just north of the Des Moines River which has survived the Flood of '93, and will be around for years to come. Directions: 6th Avenue is a busy street running north from Downtown to Interstate 80/35. 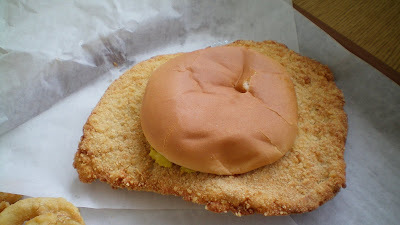 The Tenderloin: This was an honorable mention all-state tenderloin a couple years age. Its not hard to see why. The meat it not soggy, there is no juice dripping. The thickness varies slightly, while forming a good wave pattern seen from the side. The breading forms a crunchy texture which can be heard as you chew it. 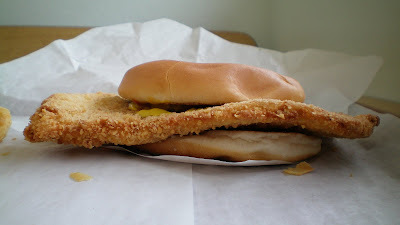 There is a layer of less-crisp breading underneath the crunchy parts. The middle is a tender layer of white meat. 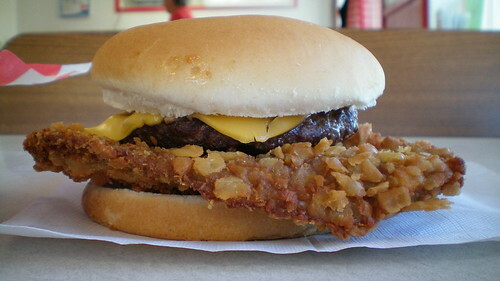 The areas around the bun are easily torn off for fast eating. It is served on a toasted bun with the usual fixings. Rating 9/10. Price: $4.39, also available in "junior" size. Ambiance: This place can be a mixed bag. During around the noon hour it is filled with surly teenagers from the nearby high school. Its mostly blue-collar types for the rest of the day. The exterior of the building is similar to everything else in this industrial part of town. There is faded, chipped paint, weeds growing through concrete, and litter. Inside is typical diner fare, with a few tables and some pictures on the walls. Service: Counter service is from the same lady each time I've been there. Also on the menu: Fried okra, cheeseburgers, and grilled tenderloins. Closing Comment: This tenderloin is clearly worth the trip from downtown Des Moines. The Grilled Tenderloin: Not as good as the breaded tenderloin. Assuming they still have tenderloins, you should check out Baker's Food & Fuel on SW 9th St just south of County Line Road. It's a gas station with sporadic amounts of traffic that was built with the intention of getting some traffic from the bypass south of Des Moines, but they also feature some food items. I look forward to future reviews. 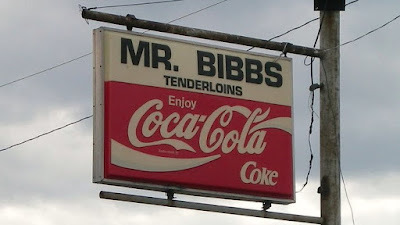 We think Mr. Bibb's is the best in Iowa.